Life as a teenager is anything but simple and straightforward. Almost all of us remember our teenage years as some of the most challenging, and certainly some of the most growth filled years of our lives in a variety of different ways. Teenage years are filled with constant change, social and societal pressures, and a number of challenging situations – putting individuals that are halfway between a child and an adult (and all over the map mentally) under a lot of stress and pressure. Combine that with the fact that most teenagers look from an outsider to be at least a little bit flighty, impulsive, distracted, and a little bit rebellious or combative, and you’re looking at a very difficult situation for those that want to understand whether or not their children – their teenagers – are dealing with ADHD. Recognizing ADHD symptoms in teens becomes a significant challenge, mostly because it is so difficult to differentiate those symptoms that are linked to a significant mental disorder with behaviors that are quite normal for teenagers that are just kind of going through “growing pains”. This is why it is so critically important to appropriately diagnose ADHD in teens, to understand which symptoms of ADHD in teens you should be on the lookout for and which ones are “false positives”, and how to appropriately treat this mental disorder that could compromise their ability to lead happy and healthy lifestyles. Hopefully you’ll find the information contained in this quick guide to be useful going forward. Multiple studies suggest that there are anywhere between 6 million and 15 million (or more) teenagers living with ADHD symptoms today – and the number could be even more significantly higher than that. Many of these teenagers are leading lives filled with challenges brought on by this mental disorder without a diagnosis, which sets them up for significant stress and pressure that they shouldn’t have to deal with during an already stressful point in time. There’s nothing easy about being a teenager, and few things easy about relating to or raising one, either. Things are only further compounded when you introduce a mental disorder like ADHD into the mix, especially one that goes undiagnosed and untreated. That’s a perfect recipe for failure, a perfect recipe for stress and pressure, and a perfect recipe for low self-esteem. It’s important to remember that there are millions and millions of ADHD teens out there, and that while many of them receive an appropriate diagnosis while they are children, many more “fall through the cracks” and need assistance. This is why it is so important to receive a comprehensive and complete diagnosis of ADHD from a trusted and trained medical professional, one that can tell you definitively whether or not your teenager is dealing with this common medical and mental disorder. As mentioned above, teenagers are naturally going to present themselves to outsiders as confused, somewhat directionless, impulsive, and at least a little bit rebellious. That’s just what teenagers are as they move through this point in their lives, and is pretty “par for the course”. I’m sure you remember what it was like during your teenage years. At the same time, it’s important to be able to distinguish between ADHD symptoms and those “standard teenage behaviors” so that you can get your teen the help they need when they need it most. There’s absolutely no reason whatsoever to compound the problems and challenges that they’ll face in new teenage lives with a mental disorder that will only serve to cloud their judgment and make them even more impulsive along the way. ADHD symptoms are going to be recognized “universally”, as opposed to selectively, which is one way that you’re going to be able to differentiate between traditional teenage behavior and signs that your child may be struggling with a mental disorder. For example, one of the symptoms that you’ll want to be on the lookout for is an inability or an unwillingness to follow simple directions to completion. If your child is ignoring instructions at home or seems to be unable to tackle the chores that they have been assigned, but has no trouble following through with directions or instruction at school or at work, the odds are pretty good that you’re simply dealing with traditional teenage behavior. On the other hand, if your team is struggling to follow directions or has an inability to follow projects to completion across the board in almost all facets of their life, the odds are pretty good that they may be dealing with symptoms brought on by ADHD. Teenagers almost always have difficulty expressing their opinions, their emotions, and the challenges that they face with adults during their teenage years, and that is ready much par for the course. However, teenagers that lash out (sometimes violently), have incredibly unpredictable mood swings seemingly triggered by small issues, or those that have real challenges creating interpersonal relationships with their peers are likely to be struggling with ADHD. Again, many of these symptoms linked to ADHD are also many of the same behaviors that teenagers naturally go through during this point in their lives. That’s why it is so valuable to speak to a trusted and highly trained medical professional that understands this condition to diagnose and term exactly what your teenager is up against. There are a number of different treatment options and protocols that you can take advantage of to help your teenager conquer ADHD. Medication is almost always one of the most widely recommended solutions, though more and more people are doing absolutely everything they can to stay away from that kind of approach because of the significant negative side effects medication may bring to the table. Prescription drugs like Ritalin and Adderall are both wildly effective at helping teenagers in particular conquer the focus and concentration issues that ADHD is associated with, but there are always going to be short and long-term costs to playing around with your body’s (and your brain’s) chemistry. Other alternative solutions include psychotherapy with the help of a trusted psychiatrist or psychologist, and guided meditation that eventually leads to self-guided meditation with the help of professionals that have been trained in that teaching protocol. Both of these alternatives are designed to help individuals “quiet the mind”, teaching them how to channel their energy and their hyperactivity so that it doesn’t dominate their teenage lives – or the rest of their lives, for that matter. It is of the utmost importance that you do absolutely everything in your power as a parent to help your teen instill a healthy and self-sustaining lifestyle – one that focuses on quality nutrition, intelligent exercise habits, and plenty of sleep. All of those lifestyle habits contribute directly to the severity of ADHD symptoms, and it’s not at all uncommon for teenagers that were once struggling with ADHD to completely overcome their challenges just by cleaning up the food they eat on a regular basis, exercising for 30 minutes a day every day of the week, and getting in just as much quality sleep as a reasonably possible. At the end of the day, teenagers do not have it easy. These years are filled with all kinds of trials and tribulations, but are also some of the most formative, fun, and exciting years of their lives. It’s on you as a parent to do absolutely everything you can to best prepare them for the world that they are about to enter, and part of that entails making sure that they have any and every mental disorder or medical problem cleared up before they move out from underneath your wings. 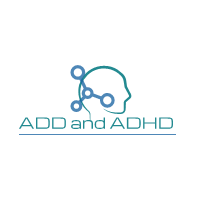 Hopefully this quick guide has provided you with at least a little bit of insider information to help you better meet the challenges brought on by ADHD. This is a significant problem (and continues to grow into a larger and larger issue as time goes on), but you have allies in this battle. Take advantage of any and all help or assistance you can to give your teenager the very best chance of defeating this condition. They’ll thank you for it, and you’ll be doing your very best to arm them with everything they need to go forward and conquer their dreams.